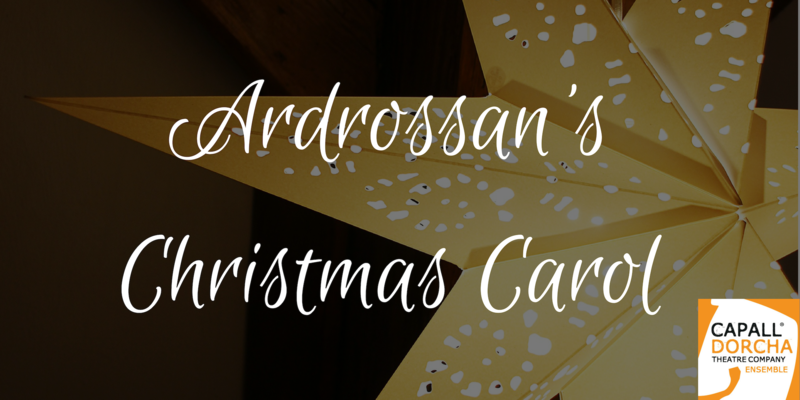 Ardrossan’s ‘A Christmas Carol’ features our Youth Theatre classes and our Adult Drama class. Together they have been creating their own rendition of Charles Dickens’ classic Christmas story. The production is very unique as the cast change roles between scenes! This is to create a real ensemble feel and to allow audience members to see our actors playing different characters. There are also a few Christmas songs and carols thrown in for good measure! The cast have worked incredibly hard to put this together, and it promises to be a great show! There will be a raffle at the performance as well as a bar. All proceeds go towards Capall Dorcha’s next performance.